Whether you’re a techie who has kept up with iPhone 6 prototypes for months or the average consumer, you are well aware that Apple launched new products yesterday: the iPhone 6, iPhone 6 Plus, Apple Pay and the highly anticipated Apple Watch. In a post-Steve Jobs world, the pressure was on CEO Tim Cook to compete with Apple launches of the past. From the home computer to the iPad, Apple has truly shaped the tech landscape – so did this launch live up to the hype? Hours before Apple’s unveiling, which was live streamed on the company’s blog, Schneider Associates’ Vice President and chief tech geek Don Martelli confidently stated, “It’s a wearable.” Rumors floated early that Apple would enter the “wearable technology” market and reveal a watch, and with fashion publications such as Marie Claire on the September 9 guest list, it was a no-brainer. With existing wearable technology receiving an underwhelming response from consumers, tech fans anticipated a superior version from Apple and the social media realm was overwhelmed with reactions to the launch. In true Apple fashion, Cook announced the thinner iPhone 6, iPhone 6 Plus, which is a mid-size device between the iPhone and iPad, and the Apple Watch. 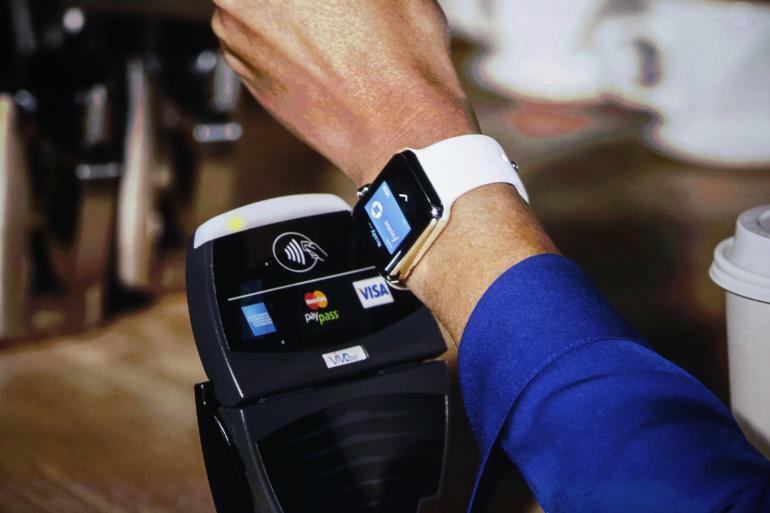 Apple Pay, a mobile payment option that will be compatible with several retailers such as Whole Foods and Target was also released. Will this bundle of new iProducts gain respect among consumers? A New York Times article quoted Cook, “For us, it’s never been about being first. It’s been about being the best.” While the iPhone 6 will be available at the end of the month, the Apple Watch won’t hit stores until after the holiday season. In a smartphone market rich with cutting edge features and enhancements, Apple underwhelmed with the new iPhones. But we think Apple’s loyal brand following will be quick to adopt the iPhone 6 and its larger counterpart. What we’re more eager to see is if consumers are as eager to adopt the Apple Watch compared to competitor smartwatch offerings now that it has entered the realm of fashion accessories. Coming in 2016, Apple earring speakers?